Just had a call from a guy whose Aunt lost her desktop icons on a Windows 10 laptop. 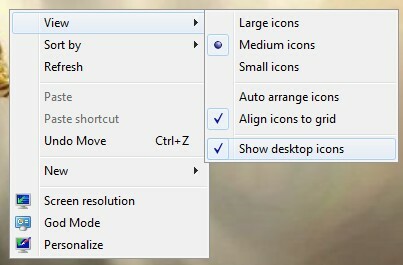 My first suggestion was just right-clicking on the desktop, clicking on View and then checking Show desktop icons. However, in this case, it didn’t seem to be available. The next thing that came to mind, when he mentioned it had a touchscreen, was that it was in Tablet mode. I’ve read somewhere before where this can change the desktop layout. Just click on the Start button and click on settings. Then choose System. 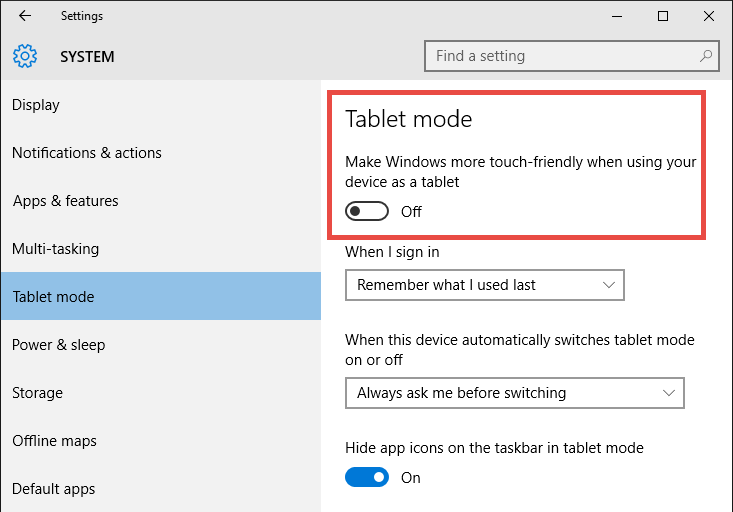 Then select Tablet Mode and click the switch under Tablet Mode to turn it Off. OK i have a pc i have a lost icon how do i find it in windows 10? I recently “up graded” to Windows 10 and am beginning to think it may have been an ill advised leap of faith. Your year-old-post was absolutely correct regarding the disappearance of my desktop icons on my non-touch screen Dell computer. My inadvertent activation of the Windows 10 “Tablet Mode” in the settings was the culprit. Your advice was simple, straightforward and, from my perspective, sanity saving. I am subscribing to your newsletter based upon your brilliant bit of deduction. Now if I can only figure out what this “Shockwave Flash” plugin is, where it hides, and why it keeps freezing my webpages. Thanks, the advice in your post regarding lost icons, to check the tablet settings, worked immediately. THANK YOU!!! My teenage daughter was on my touch screen laptop looking at pictures for a project while simultaneously face timing her boyfriend, and :”somehow” I lost all of my icons. You saved this mom from going bat $hit crazy! !